If you’re not familiar with the Cladun series, I wouldn’t blame you. Nippon Ichi Software’s retro looking action role-playing game series found success at the back end of the PSP’s life cycle, and hasn’t seen a new entry since 2011. 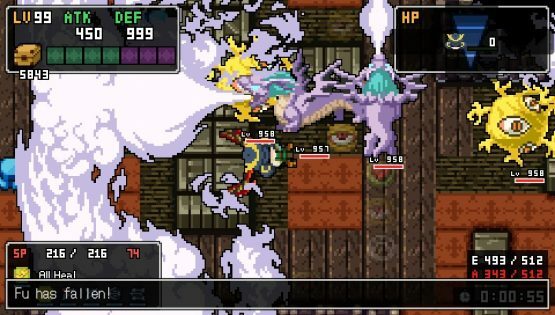 Now six years later, the series is back in the spotlight with Cladun Returns: This is Sengoku!, a samurai-themed sequel that brings its unique brand of dungeon crawling to Vita and PlayStation 4. On a surface level, Cladun plays a lot like the dungeon crawlers of yesteryear. Players take their created character through dungeons filled with traps, dozens of enemies, and plenty of loot. Occasionally puzzles will pop up, which will require the player to kill specific enemies or hit a switch, but the focus is on slicing through every monster that gets in the way. These types of dungeons are a genre staple that have worked for decades, and NIS manages to subvert this familiar setting in some intelligent ways. A lot of dungeon crawlers are methodical, turn-based affairs that have the player planning out every action, and worrying about every small step. That isn’t the course here, as the player has a wide freedom of movement, and the ability to run, slide, and jump past traps. This creates some fast-paced action that’ll test players’ reflexes as well as their strategies, as they have to balance dodging attacks with using powerful abilities. This core gameplay is the game’s biggest strength, as it differentiates itself in all of the right ways. One of the defining features of the series was its unique Magic Circle system, and it returns with all of its complexities here. Players are able to designate one character of their party as a lord, and make him more powerful by assigning various vassals (each with their own abilities) to him. Multiple types of Magic Circles are unlocked throughout the game, and maximizing these skills are essential to having any success. Sadly, the game doesn’t do a great job of explaining these complex systems to the player. Initial attempts at a tutorial are overly complex, and end up giving newcomers too much information to process right off the gate. They’ll eventually run into some gigantic difficulty leaps in the game’s 10 chapter story that’ll require them to mess around (and eventually learn) with the various in-game systems. Despite Cladun often being puzzling in its depth, its quite rewarding once all of the mechanics are figured out. If there’s one major disappointment, it comes in the form of the story. Over 10 chapters, the game constantly brings back notable figures from Japanese history, such as Masamune Date and Yukimura Sanada, in a spectral form. Getting to interact with the fallen souls of Sengoku warriors is an incredibly interesting premise, but it’s largely wasted here. Most characters only get a few lines, are reduced to caricatures of themselves, and don’t feature any sort of character development. The whole thing reeks of missed potential, as the story should’ve been a highlight of the game instead of an afterthought. The main campaign of Cladun Returns is comprised of just 50 levels (this isn’t particularly lengthy when you consider most can be finished within a minute), but the game features a lengthy end game that should ease any content concerns. For starters, 50 additional extra levels are also included, each of which features more difficult areas and character souls to collect. On top of that, there’s also Monster Hunter-style quests that’ll give players good reasons to replay stages in a variety of ways: as they’ll face off against new enemies, and learn to speedrun levels. On top of the levels that have been created by Nippon Ichi Software, there are also plenty of randomized dungeons that often an even greater challenge than the main game. Traversing these dangerous levels are the best way to both level-up and to gain good equipment. This can be the difference maker between being stuck on a level for hours and breezing through it in two minutes, and there’s a huge grind that die-hard players can participate in if they haven’t had their fill yet. Finally, there’s a multiplayer portion of the game that allows players to play both cooperatively and competitively. The cooperative mode allows players to take on boss fights and explore death-geons, which are the game’s hardest dungeons. These levels are so punishing that having a character at the level cap won’t guarantee success, and seems to be only for the craziest of players. Meanwhile, the versus mode has players competiing to see who can gather the most treasure. Both of these are nice additions, but they unlock so late in the overall experience that it’s more of a bonus than a core feature. Despite wasting a wonderful setting and story setup, Cladun Returns still manages to be a triumphant comeback for Nippon Ichi Software. The game’s fast-paced brand of dungeon crawling separates it from its competition, and the game is only beginning once the story wraps up. There’s enough content here to keep players entertained for months if the game grabs players, although those looking for more structure will end up disappointed. 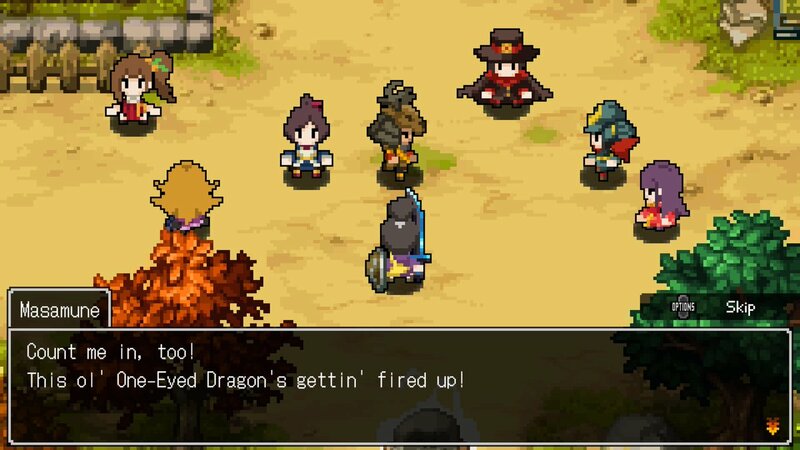 Review code for Cladun Returns: This Is Sengoku! provided by the publisher. Reviewed on PS4 Pro. For more information on scoring, please read our Review Policy here.